Set for its fifth annual running along the rolling country highways of this village just outside Syracuse, nestled in the Finger Lakes region of New York not far from the shoreline of Lake Ontario, the Earth Day Half Marathon encourages runners to celebrate a cause bigger than themselves — bigger than all of us put together, actually. 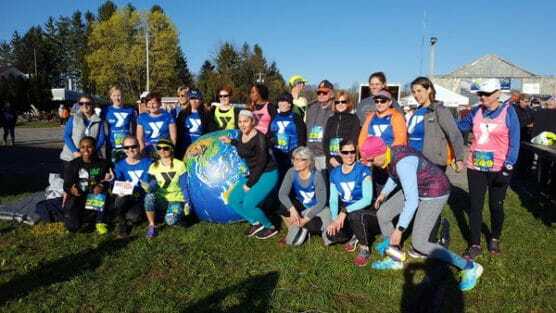 The race takes place a week before Earth Day this year, and takes runners through some of the country that the race organizers hope the day will encourage them to appreciate — rolling farmlands, the sparking water of Beaver Lake, and wide-open farm fields dotted with horses and cows. Runners will start the race near the southern end of Beaver Lake County Park, along Vann Road. From there, the out-and-back route makes a counter-clockwise loop around Fenner Road, County Line Road, Plainville Road, Wheaton and Beaver Roads before heading back to Vann Road, for the race finish just south of the park. While most of the course features gently rolling hills, the race’s signature hill occurs around the mile 8 marker, also called “Aw-Come-On Hill,” organizers note, from there to about the mile 9 marker. After that, the course mostly flattens out as it brings runners back in to the finish along Vann Road. They also note that you should come prepared for any type of weather — snow storms have dumped several inches of snow just a couple of weeks before race day only to see sunny skies and temperatures in the 70s on the day of the race, for each of the past couple of years. Nestled along the Seneca River in New York’s Finger Lakes region, roughly a 25-minute drive from nearby Syracuse, Baldwinsville typically sees quite cool weather in April, which averages between the mid-30s and the mid-50s, and can also see plenty of snow, as the area gets an average of over 4 inches during the month. On race day (April 14), the average low is 37ºF and the average high is 59ºF. See the race route map for the Earth Day Half Marathon here. 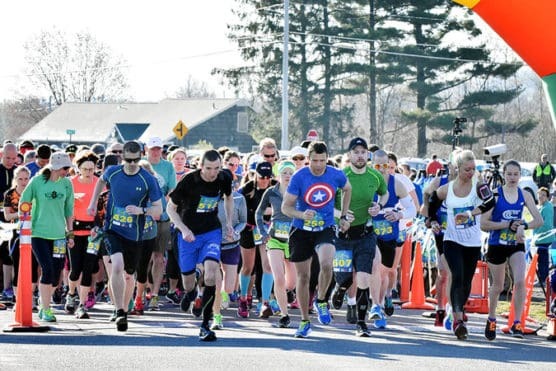 To reserve your spot in the 2019 running of Baldwinsville’s Earth Day Half Marathon or 5K race, register online at RunSignUp.com here. 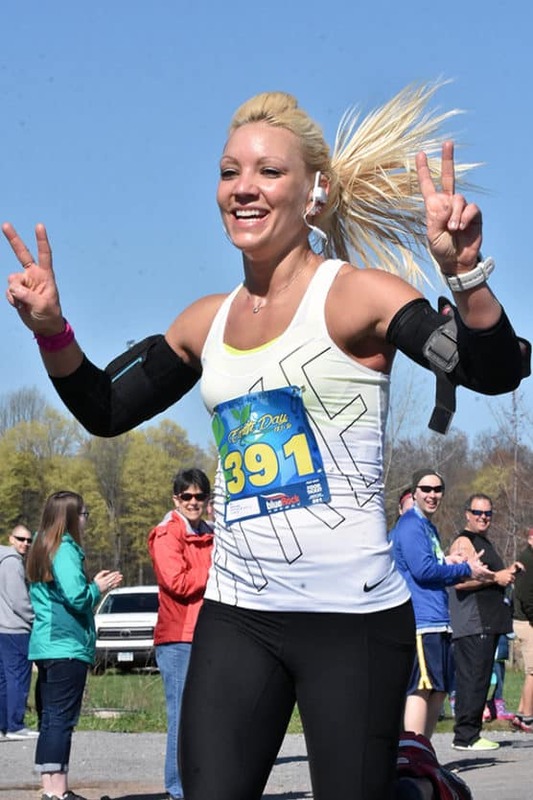 Ever run in the Earth Day Half Marathon? Share your impressions here, as well as anything you learned about the race that you think other runners/walkers should know.